The ADD BASICS education course is a catalogue of introductory classes offered to Aalto University students allowing a bachelor level engagement of technologies offered at ADD. Students are introduced to the basics of 3D modeling tools, Rhino and Maya, as well as 3D printing and other fabrication techniques. The objective of the “ADD 3D printing workshop” is to introduce the basic level of 3D printing technology to students and researchers on the Aalto Campus. By introducing 3D printing to a multidisciplinary audience – Architecture, Art, Business, and Engineering – ADD also gains an outside perspective of how 3D printing can be applied to different research applications. 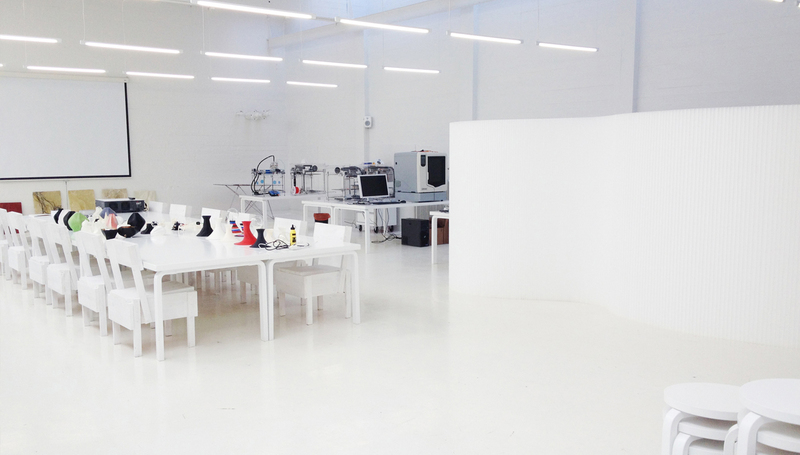 The workshop is based on working with the 3D Touch 3000, a filament fused fabrication tool with three extruder heads. Participants will get a hands-on experience of their designs coming to life after being introduced to the relevant software and hardware. Courses are held at ADD twice a month and are open to all Aalto University students. If you are interested in participating, register by sending an email to workshop@addlab.fi or by filling in the form available at ADD CAFE.